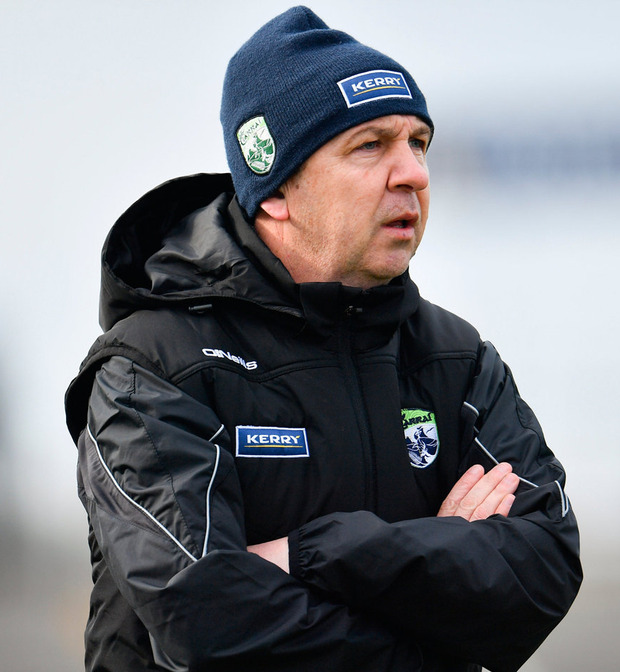 Kerry manager Peter Keane said he was thrilled with the manner in which his men created and executed chances to confirm their place in the league final next weekend. 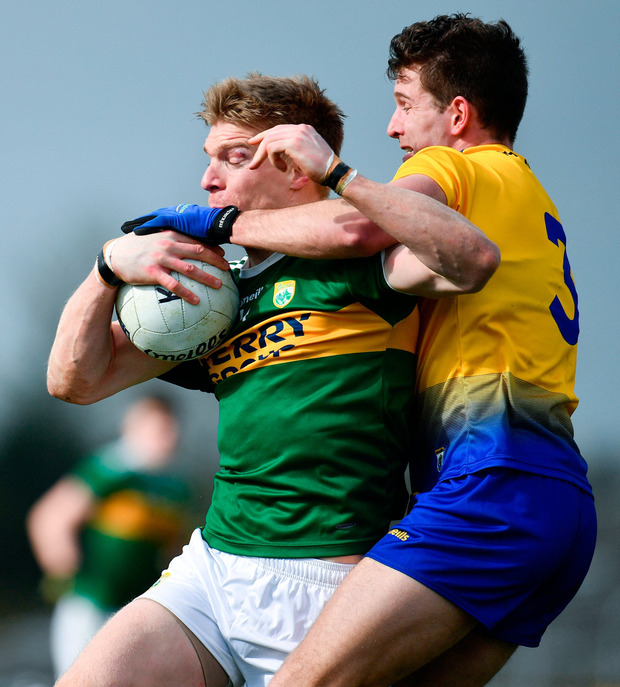 They were far too strong for a Roscommon side at Hyde Park who are now heading back to Division 2 after a ten-point loss which could have been even more decisive. Seán O'Shea and Stephen O'Brien scored goals either side of half-time, at which Kerry were 1-8 to 0-8 in front with the strong breeze to come. And so Kerry marched on with their sixth win from seven league outings. A powerful display which saw David Clifford making his first start of 2019 and James O'Donoghue was back in the fray too. "We created goalscoring opportunities. We had about three in the first ten minutes of the game alone. Didn't take any of them but we were creating them and you won't score if you don't create them," said Keane. "From that perspective, I was happy and, again, a lot of the young lads went out there and did well. It's about all these lads, you are getting James O'Donoghue back and David Clifford. "That was David's first start in a long time. It was great to get him back. It put a bit of confidence into him." Clifford could have scored Kerry's first goal inside a minute if Colm Lavin didn't get down well to save. Roscommon held their composure and raced into a double-scores 0-4 to 0-2 lead by the 16th minute. Niall Kilroy, Conor Cox, Cathal Cregg and Donie Smith all pointed for the hosts. They had their second double-scores lead of the half after points from Ronan Daly and Shane Killoran put three between the sides in the 23rd minute. But Kerry blitzed Roscommon with an unanswered 1-4 before half-time. O'Shea (two), O'Brien and Clifford provided the points while centre-forward O'Shea also blasted the goal after he was set up by O'Brien. Cox and Donie Smith replied but with their captain Tadhg O'Rourke in the sin-bin, Roscommon were in big trouble. And Kerry put the game beyond them on the resumption with 1-3 on the bounce on this occasion. O'Brien bundled home the crucial second goal in the 47th minute. Roscommon manager Anthony Cunningham looked to steady things with the arrival of Diarmuid Murtagh, who did contribute two frees, but that was it. Kerry move into a Division 1 final where they face James Horan's Mayo next Sunday. Mayo were the only team to beat Kerry in the league but Keane remained coy. "The way we look at it, is it is an extra game and you learn something every day you go out. So an extra game won't go astray and any opportunity to get into Croke Park is great for the group," said Keane. "I don't think any game has been easy. We have been struggling along in most games. It's another game." 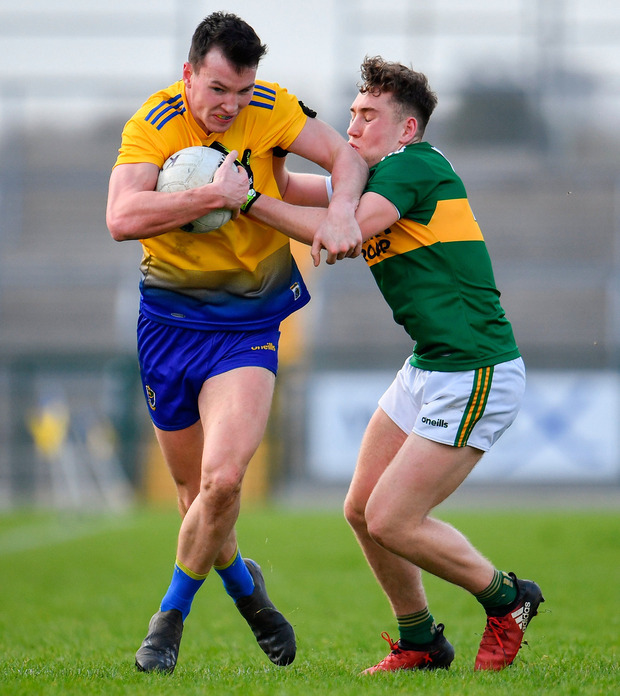 Roscommon are back in Division 2, one year after they were promoted, and new manager Cunningham knows there is plenty to work on before they face Leitrim in the Connacht Championship on May 12. "I'm disappointed for the lads. I'm disappointed for the supporters in particular because we got great support in this league. I'm disappointed that we didn't get to reward them." Scorers - Kerry: S O'Shea 1-5 (4f), S O'Brien 1-2, D Clifford 0-5 (3f), D Moynihan 0-2, T O'Sullivan, D O'Connor. J O'Donoghue 0-1 each. Roscommon: C Cox 0-4f, D Murtagh (2f), D Smith (2f), R Daly 0-2 each, S Killoran, N Kilroy, C Cregg 0-1 each. Kerry - S Ryan 7; J Sherwood 7, P Crowley 7, G O'Sullivan 6; G Crowley 5, P Murphy 8, T O'Sullivan 7; J Barry 7, D O'Connor 8; D Moynihan 9, S O'Shea 8, S O'Brien 8; D Clifford 8, T Walsh 8, K McCarthy 6. Subs: K Spillane 7 for McCarthy (5), J O'Donoghue 6 for Walsh (52), J Foley 6 for Sherwood (53), M Griffin 6 for P Crowley (59), C Geaney 6 for Clifford (66). Roscommon - C Lavin 7; D Murray 7, S Mullooly 7, C Daly 6; C Hussey 6, N Daly 6, R Daly 8; T O'Rourke 6, S Killoran 7; N Kilroy 7, C Cregg 7, U Harney 6; D Smith 7, C Cox 7, A Lyons 6. Subs: E Smith 7 for Lyons (35), D Murtagh 7 for D Smith (47), C Devaney 6 for Kilroy (49), H Darcy 6 for Cregg (58), G Patterson 6 for N Daly (68).